This conference is about getting together people from all around the world who are using computers to help assess their students' maths skills. Thank you to those who've travelled a very long way to get here - I think we in the UK don't look outside enough at what our overseas friends are doing, so thanks for saving us the effort. I'll briefly introduce you all to each other: you mainly work in HE. A few of you belong to commercial e-assessment providers. A handful of you work at school level. 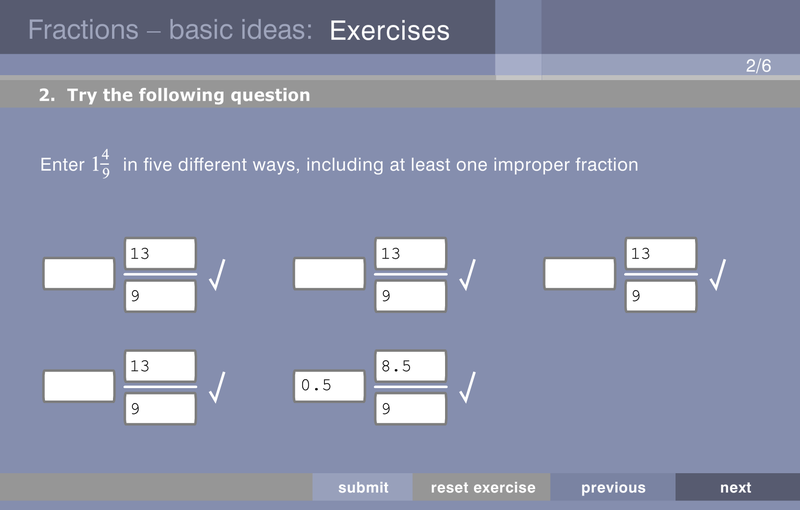 For e-assessment of maths to be any good, there are some must-haves that most e-assessment systems can't provide. We hosted MatRIC a few months ago, and this message that maths is different came out loud and clear from everyone in attendance. You can dispute my ordering of difficulty. User experience is really important. An e-assessment system should be clear and intuitive. "UX" is one of those nebulous concepts that people who know what they're talking about use. I'm going to try to contrast bad UX with good, but picking apart systems made by people in the audience would be unkind. Here's a starter: this isn't just a "validity" issue, it's a user experience issue. How will this be marked? Hands up if you can give a correct answer. I'm not going to ask for one. But I prefer to ask audiences if they can give an incorrect answer. What is an incorrect answer here? Here's my best effort at a wrong answer. But it marks it right! 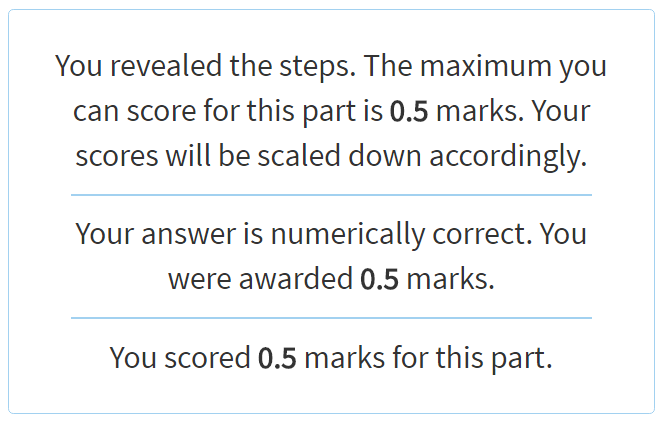 The "try another question like this" button is a very good example of a UX feature: you could restart the whole exam to get a new question, but the button both makes it easier to practise a single question and prompts you to consider doing it. Confirm before doing something irreversible. Show validity warnings before the student submits. Tell the student what you want them to do. Tell them how to enter their answer, including any restrictions. Put things in the right order and make important information easy to find again. Make sure graphics are readable. Explain how the mark was calculated. Are written in full sentences. This isn't just an issue for coders - you need to bear UX in mind when writing a question, too. Each of these bullet points is a UX issue. Before anything else, tell the student what they're going to be asked to do. But make it useful: a notorious author used to put "answer the following questions" at the top of each question. Unless it's a reading comprehension test, make important information stand out. Don't ask the student to enter an answer in part b that they could have used to answer part a.